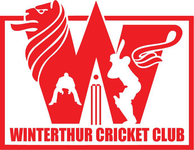 Winterthur Cricket Club completed their 3rd warm-up match of the 2019 season with another win against Swiss United, to make it three wins from three. The WCC captain won the toss and elected to bowl first. WCC went in with a clear plan of and executed it to near perfection as Swiss United never got going. The two opening bowlers for WCC, Sahan and Elyas, both bowled exceptionally well, especially Elyas who is a natural left arm swing bowler, taking advantage of the overcast condition. The only highlight of the Swiss United Innings was the 19 runs scored by their captain Murali, they were bundled out for only 93 runs in 27.2 overs. WCC' opening bowlers shared the 10 Swiss United wickets among themselves with both bowling impressively well. Chasing a modest 94 runs for victory, WCC was well aware of the depth in the Swiss United bowling attack and their never give up attitude. So WCC went about their case cautiously with Prafull and Jagath opening the batting. WCC lost their first wicket with 11 runs on the board as Prafull (9) was caught at deep fine leg. Gokul Joined Jagath in the middle and they put on a steady partnership before Jagath (11) was caught behind with the total on 47-2. Kasun then joined Gokul in the middle and built another partnership taking the total to 67 runs before Gokul (25) was unfortunately run-out. Mo joined Kasun in the middle but Mo was soon out without scoring. Fahad who then joined Kasun in the middle took the total upto 76-5 before Kasun (10) was adjudged LBW. Anoop joined Fahad in the middle as the game started to look much tighter than what we initially thought or hoped. Swiss United kept chipping away with wickets at regular intervals building more pressure on the WCC lower order batsmen. Fahad (10) too was unfortunately run-out at the non-strikers end with the score on 83-6. With only 11 runs to win, and 4 wickets left WCC were feeling confident of getting home safely.. but Swiss United had other ideas. They never gave up and kept attacking this saw the fall of Anoop (0) Nafees (6) in quick succession with WCC 89-8. Bhanuka and Safi made sure they saw WCC home in a low scoring but extremely thrilling encounter. We had a plan and my bowlers executed it to perfection, especially Sahan and Elyas who bowled their hearts out ... young 16 year old Elyas recorded his career best of 6-27. Yes, we did give away far too many wides but I am sure the bowlers will work on it in the nets in the next few weeks and prepare themselves for the competitive games. The fielding was significantly better too, and the extremely talented Swiss United bowling line up tested our batsmen, but we held our nerves to beat them by 1 wicket and keeping our 100% winning record for 2019. "I cannot be any prouder of my players, winning is a habit and we feel like we now have this good habit, we played some fearless, positive cricket, the brand of cricket I really wanted WCC to play", Said Mohamed. 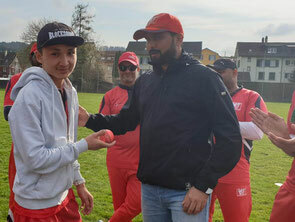 WCC are now looking forward to the competitive games whilst wishing Sahan LAKSHITHA, selected to represent the Swiss XI to face St Gallen in the DBMT 2019, the best of luck.